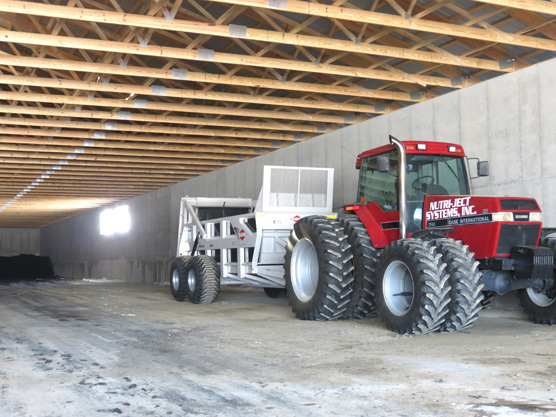 Dubuque Project - Nutri-Ject Systems, Inc.
Nutri-Ject Systems was selected through the RFP process to provide for the turn-key transportation, IDNR/EPA approved storage site and recycling and reuse of the city of Dubuque’s biosolids at proper agronomic rates on selected field sites. This project includes public relations, analysis, field reports, soil testing, correspondence and all annual reporting for the city of Dubuque and EPA. 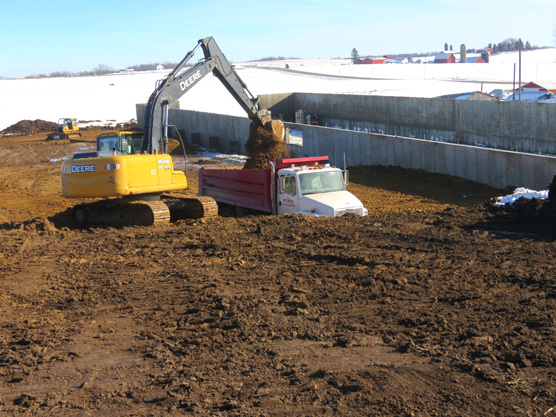 This project began with the procurement of a two-acre site for the purpose of providing long-term storage of the city of Dubuque’s biosolids during the growing season and inclement weather when fields are not able to be accessed. The site required extensive cut and fill and grading and the removal of approx. 27,000 cubic yards of dirt to facilitate the structure. 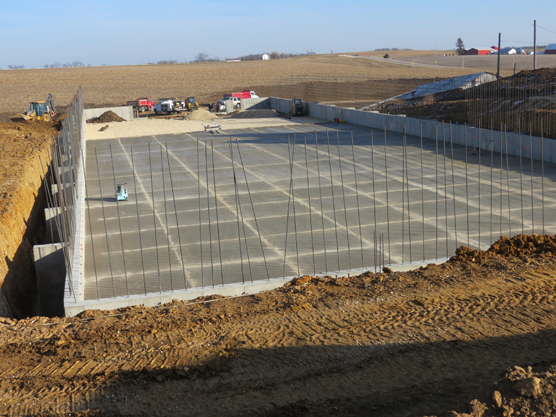 The enclosed storage building which is 275 ft. in length, 80 ft. wide with 19 ft. side walls which will allow for storage up to 1.25 years of Dubuque’s annual production of biosolids. 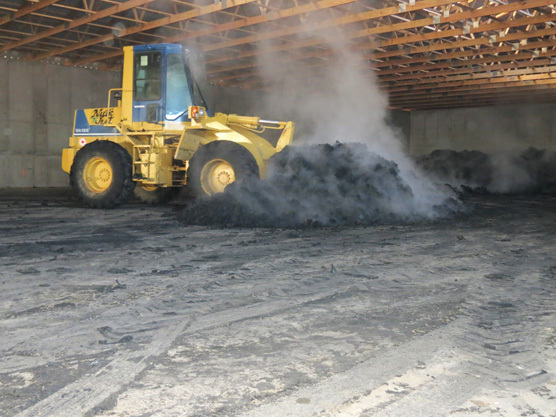 All material will be removed on a semi annual basis and land applied on the surrounding field sites based upon soil tests and analysis.